One of the things I love about the South is the Southern sense of humor. That combined with the expression “Bless Your Heart” will just about extricate you from any situation you may find yourself in. I created this image in Birmingham, Alabama. My father and I had driven over from Atlanta, Georgia to participate in the Antiques Roadshow filming one weekend. No one was impressed with the three antiques we were allowed to bring. After standing in long lines, we decided to go forth, cameras in hand; my father to photograph reference shots for him to paint and I, of course, was in search of “The Contemporary South”. 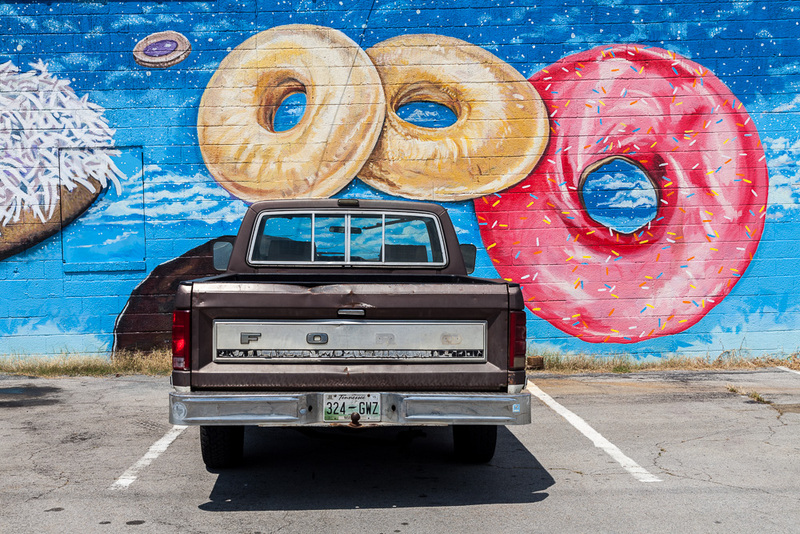 I won’t ruin this photograph by talking about it except to mention that “Off The Diet” and tomorrow’s image (Young Patriot) was juried into the Atlanta Celebrates Photography / Atlanta Photography Group “Atlanta Airport Show 2015” by Amy Miller. It was quite an honor for me, let me tell you.